A test unit of 2018 TVS Apache RTR 160 was spotted by “The Gearhead Bureau” near TVS factory. 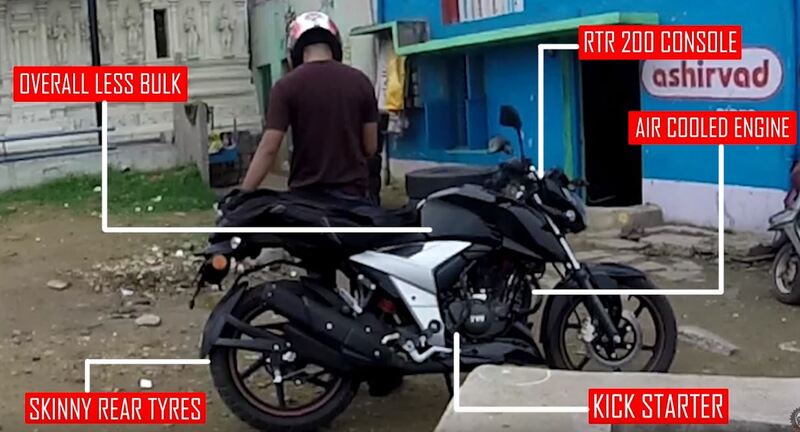 The test mule was spotted with rear drum brake setup which makes us sure that it’s not an RTR 200 4V mule. The major changes include, a mono shock setup throwing away dual shock observed in the earlier version. 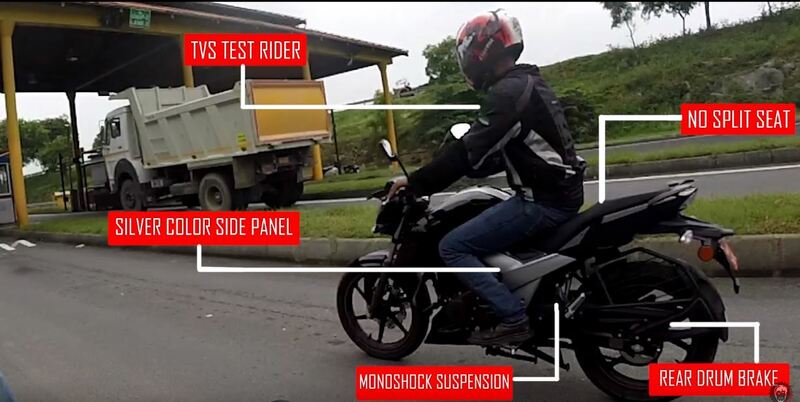 The fuel tank and rear styling setup follow the 2018 TVS Apache RTR 200 styling. A petal disc brake with thinner tubes for telescopic forks at the front the upcoming RTR 160 will continue to get air-cooled 160cc mill mated to a 5-speed gearbox. The 160cc motor is capable of producing 15.2 bhp of peak power and 13.1 Nm of peak torque. The output of new Apache is expected a bit higher than the current version. The Apache RTR 160 was the first bike from TVS that was also offered in FI version. The bike is optimized for handling and ride quality is on the stiffer side. Previous versions of Apache had a wheelbase of 50 inches which resulted in better cornering in compensation with stability. TVS later increased wheelbase by 1.6 inches to improve stability. The bike design is evolved from Circa 1999 Suzuki Fiero which TVS used to manufacture in India. It is TVS’s R&D on Fiero model with an overbore on 147cc Fiero Engine. TVS Apache was the first bike in India to offer petal disc brakes. TVS Apache Spied.. launch around the corner?